Crumble and Flake is a brand new bakery that set up shop in a postage stamp sized storefront on Olive Way. I decided on a smoked paprika and cheddar croissant and a plain one. After two years of living in Paris, I found it to be top-notch, living up to the bakery's name, as it was flaky, soft, and airy with the perfect balance of spice and cheese. 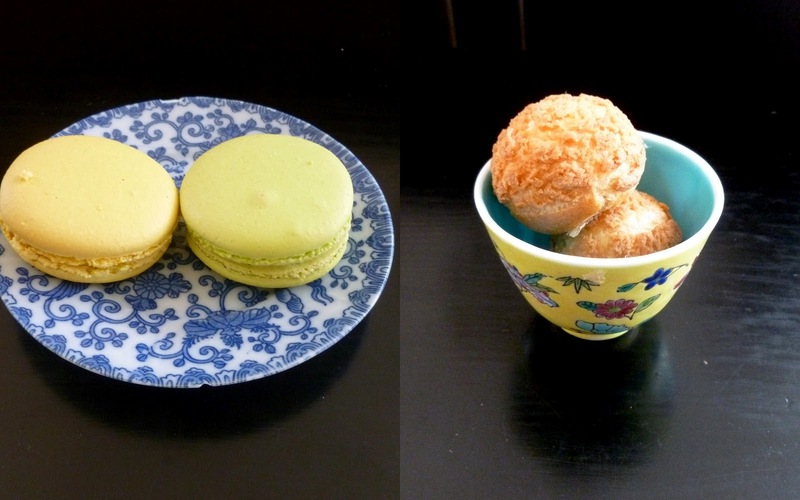 After I let it melt in my mouth, I moved on to my other choices- a lemon and caipirinha macaron, and a mini apricot cream puff. The cream puffs are made to order and the texture of the puff was exquisite. The apricot filling was smooth and luscious without being overly rich. This is a place I will be frequenting regularly and you should as well.